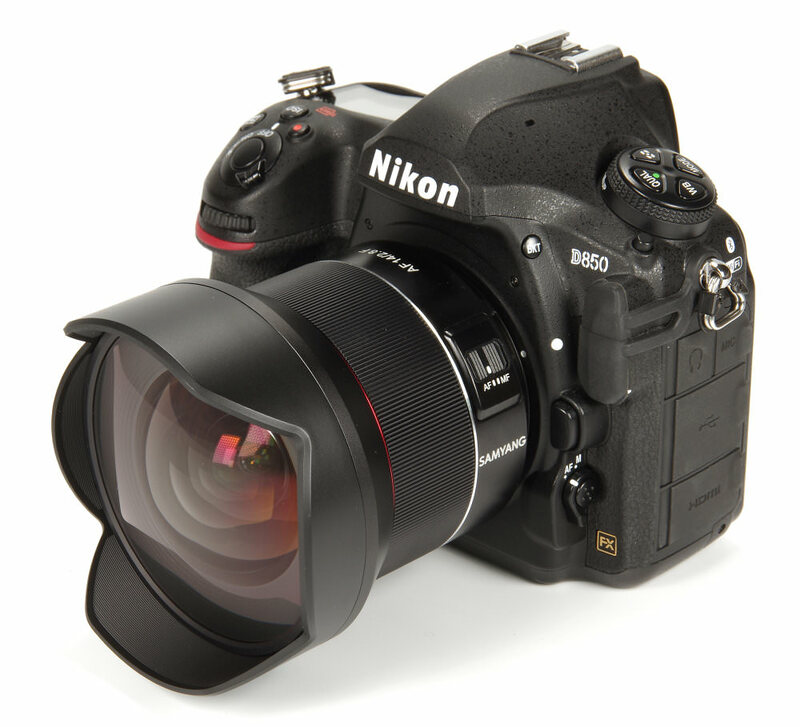 John Riley reviews the new wide-angle Samyang AF 14mm f/2.8 F lens for Nikon DSLRs. Samyang continues to move onwards into autofocus territory, now presenting us with their first AF Nikon F fit lens, the full frame AF 14mm f/2.8. Definitely in the class of the ultra-wide, the 14mm lens is demanding of manufacture and of technique, so let's see how it stands up to the competition, using for this review the 45mp Nikon D850 body. This is a chunky lens, but not excessively so, weighing in at a reasonable 474g. This balances well with the Nikon D850, slightly front heavy because of the huge front element, but still comfortable in use. 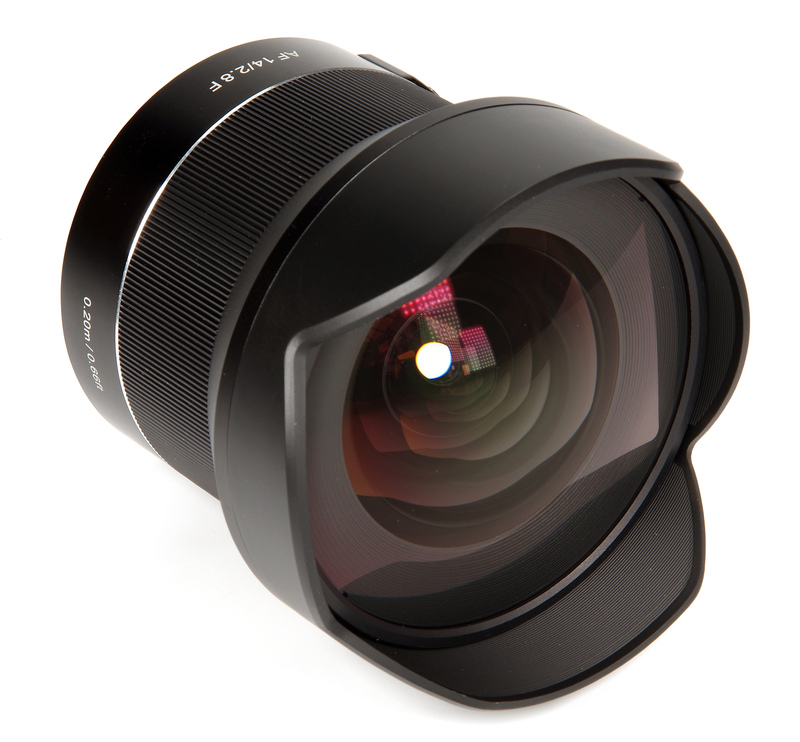 Starting at the front, there is a built-in petal lens hood that offers some protection for the large, domed front element. There is no filter ring. This is, of course, a full frame lens, offering a field of view of 116.6 degrees. If used on an APS-C format body the "35mm equivalent" becomes 21mm, with a field of view of 92.8 degrees. Behind this is the wide, electronic, manual focusing ring. This offers full-time manual focus, so after AF operation further tweaks can be made without having to engage an MF mode. The action is very smooth, with just the right amount of resistance. Focusing is down to 0.2m, or 0.66 feet, giving a maximum magnification of 0.15x. There is no distance scale on the lens. The only other feature is the AF/MF switch. The bayonet mount is well machined in metal and looks as well made as the rest of the lens. The standard of construction is very high. The lens is also weather sealed, a very useful feature. The optical formula is 15 elements in 10 groups, including 2 Aspherical, 1 ED (Extra Low Dispersion) and 4 HR (High Refractive Index) elements. The lens utilises Samyang's UMC (Ultra Multi Coating) to suppress flare and ghosting. The diaphragm consists of 7 rounded blades, intended to improve the bokeh of the lens. The AF, driven by a linear stepping motor, is silent, swift and accurate, and indeed the general handling is equally smooth. A 14mm lens can be quite challenging to get the best out of, but this one handles so beautifully that the actual operation never intrudes on the image making process. The wide sweep of the field of view is particularly useful for interior architectural shots, but many other areas of subject matter can also be tackled, from landscapes to portraits. Portrait subjects might appreciate us not being too close as ultra-wide lenses do tend to result in quite distorted facial features. In many shots, a strong foreground interest will avoid large, blank areas close to the camera. I have the MF version of the Samyang 14mm. Aside from the addition of AF, how does the new version compare optically? https://www.ephotozine.com/article/samyang-14mm-f-2-8-ed-as-if-umc-lens-review-19621 https://www.ephotozine.com/article/samyang-premium-mf-14mm-f-2-4-lens-review-30229 Hopefully the above reviews will help! 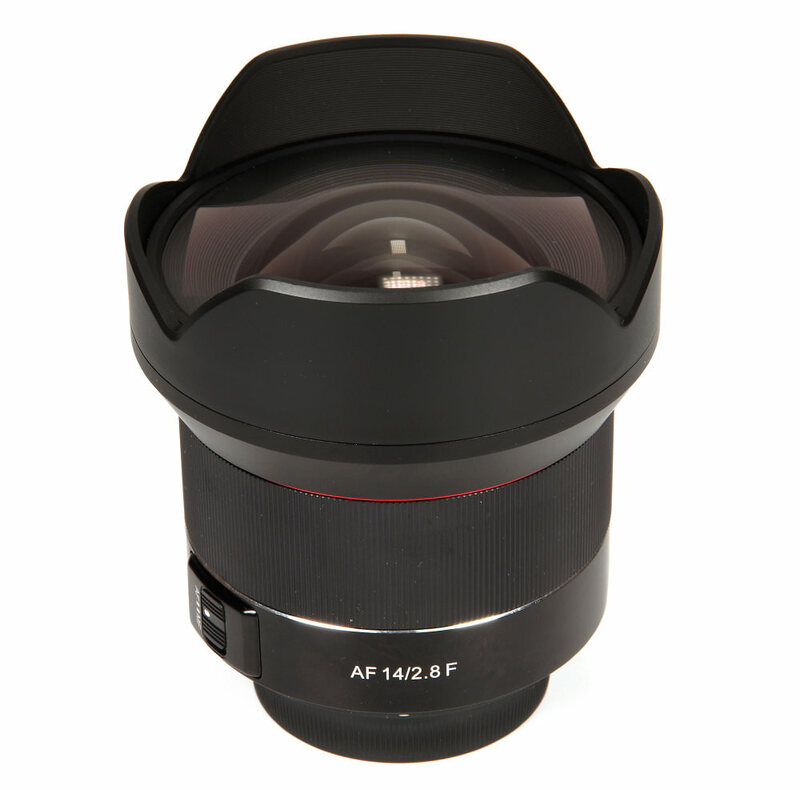 Optical quality is superb and AF certainly makes the lens faster to use. Hopefully the above reviews will help! 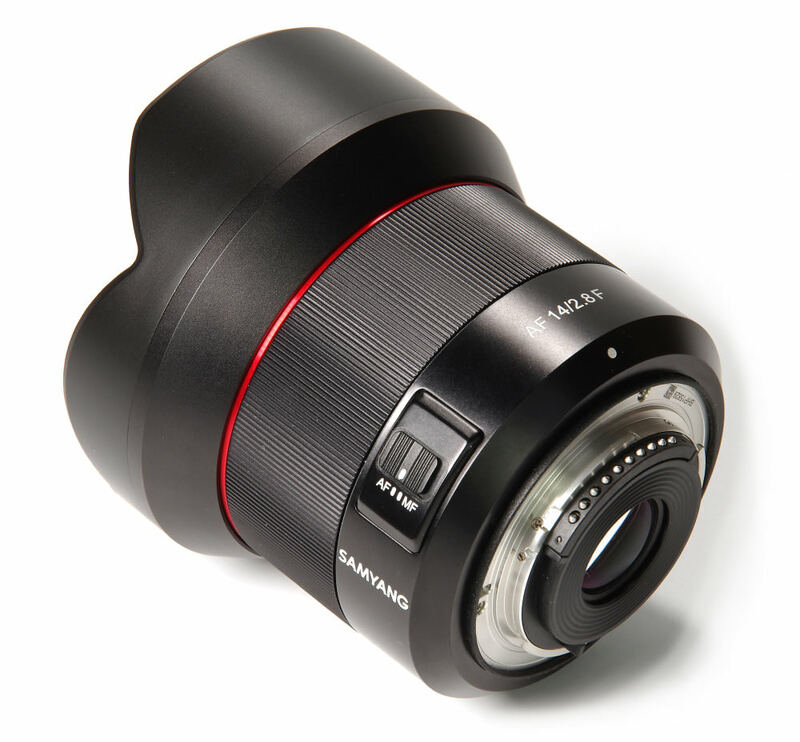 Optical quality is superb and AF certainly makes the lens faster to use. The review says barrel distortion. But this can be corrected in Lightroom automatically right? Distortion can indeed be tackled in software and in many cases there will be profiles provided for specific lenses.